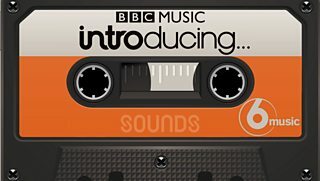 Tom Robinson showcases his favourite new tunes by emerging and independent artists on The BBC Introducing Mixtape. This curated playlist goes out on BBC Radio 6 Music in the small hours of every Monday morning between 2-3am, and is also available via the BBC Music pages and as a BBC podcast. After being featured by BBC Introducing you may receive emails from PR companies with impressive client lists, saying they like your music and want to help you get further radio airplay. Please be aware this doesn't make you unique or special - lots of our artists receive these emails from companies seeking new clients for their paid services. And hiring a professional radio promotion team - just because they happen to send you an email - isn't neccessarily the best use of your money. If you do decide to pay a PR firm to do this work for you, there are over a hundred to choose from in the UK. Nearly all of them have impressive client lists but not all of them deliver good value for money. Before paying anybody for promotional services of any kind, it's always best to contact a couple of their clients first to ask if they'd recommend that particular company. You can find the management, record company or booking agent for most artists using Google. Further down the line - as your career gathers momentum - you may need to invest serious money in a professional PR campaign. While the most effective pluggers are among the most expensive, the most expensive ones aren't neccessarily the best. So check out which indie labels are regularly getting their artists played on national radio - then phone their offices to ask which PR company they recommend. And whatever route you choose, don't forget to carry on uploading your new releases to BBC Introducing so that we can carry on supporting you as your future career unfolds.